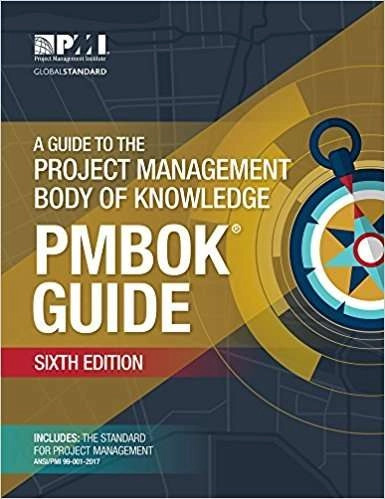 This is the PMI bible for traditional project management. It was the original document the PMI created and what the PMP exam is based on. After going through numerous version keeping up with latest practices and technology. The layout and presentation are very heavy and can be difficult for non-experienced project managers to interrupt. 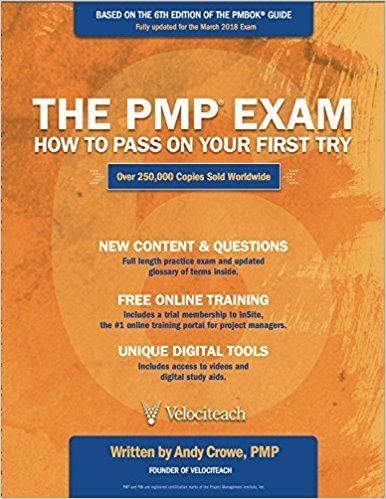 Do not expect to pass the PMP by just reading this book as it is not written to help people passed even though the exam is based on its content. Make sure to get the latest updated version. 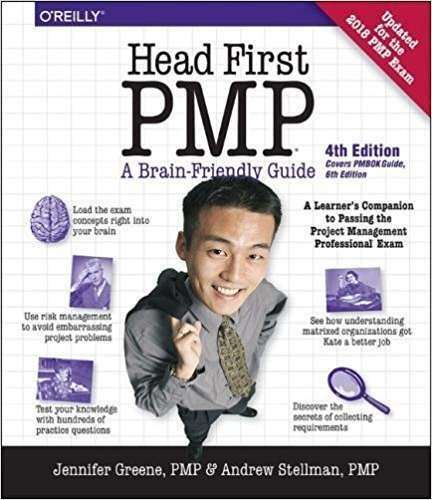 This book is written by Andy Crowe and is highly recommended by nearly all PMP professionals. I personally feel it is an absolute must for any PMP candidate. It covers all the content in the PMBOK but presents the content with the test in mind. Each chapter has questions at end of each chapter and a complete test at the end of the book. The book also has a dedicated chapter for exam strategy with an on the day plan which is invaluable for every successful PMP exam taker. Beginner friendly book with great illustrations, explanations and workbooks. The best thing about Head First is it gets the reader to think about the issue with a real life situation so they can relate to it and understand it easier. They use thoughtless metaphors throughout the book which helps break down the barrier of learning a daunting 47 processes. This is a great introduction to PMI approach to Project Management. 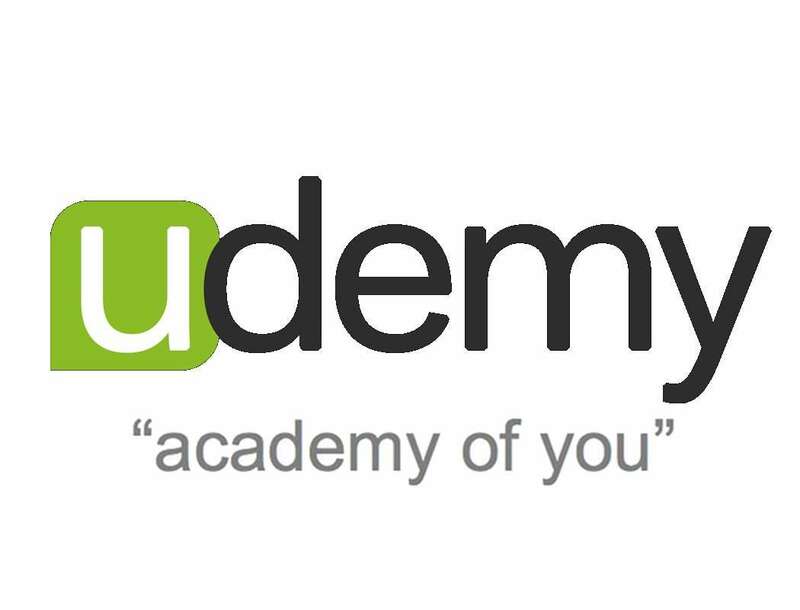 Udemy is a great resource for affordable high-quality courses. This course qualifies you for the 35 Contact Hours requirement necessary to register for the PMP exam or for experienced project managers wanting to brush up on their education. The course goes through all the relevant content with 344 lectures but we recomend you make sure to do extra practice exams. Check out the Udemy PMP Course here! 12 Hours of Content, 329 Pages of Slides, 250+ Quiz Questions Included IN the course.This course is administered by Innate Images, LLC an official PMI® REP (Registered Education Provider) and enables you to claim 25 Contact Hours or 25 PDUs for PMP® recertification. Check out the Udemy PMI-ACP Course here! Every single company I have worked with have been using JIRA by Atlassian (I would go as far as saying some colleagues probably thought JIRA was Agile). JIRA lets you create Scrum and Kanban workflows very easily. This enables you to easily use an Agile methodology without having to get bogged down with metrics and reporting as JIRA does it all for you. You can also upgrade your workflow with Confluence, Bitbucket, HipChat, and hundreds of other developer tools. Free to use project management software available across devices. Really easy to use software where yourself and your team can manage project. It was founded in 2008 by Facebook co-founder Dustin Moskovitz and ex-engineer Justin Rosenstein, who both worked on improving the productivity of employees at Facebook. Another free tool and one of my favourite management tools that I use nearly every day. You simply create lists and can drag and drop tasks to other columns making a very easy and visual workflow. Great mobile apps as well as desktop. Slack brings all your communication together in one place. It's real-time messaging, archiving and search for modern teams. Easy to use and very effective! *I will get a referral commission from some of the above links.